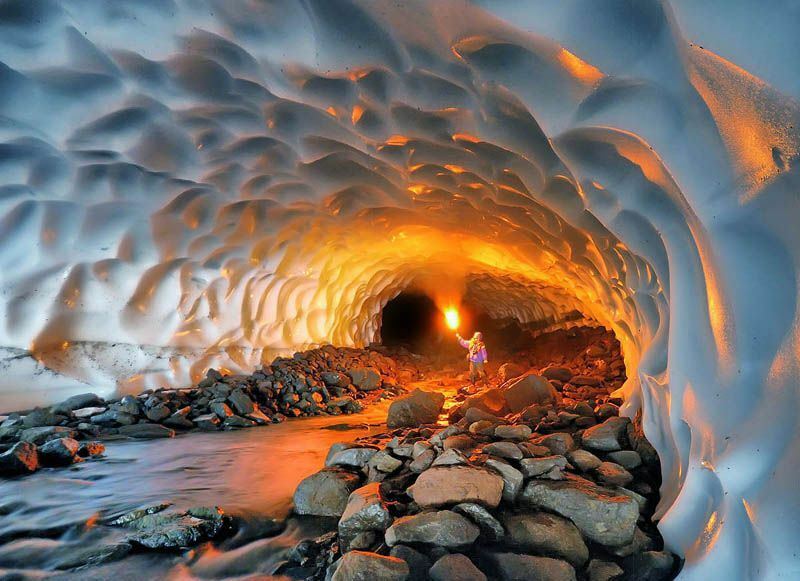 In this incredible photograph by Michael Zelensky, we see the entrance to an amazing snow tunnel that’s almost a kilometer long. Michael says the tunnel is located under snow fields in the deep ravines at the end of the summer thaw (translated from Russian, may not be exact). Apparently it is fairly close to the nearby Mutnovsky Volcano in southern Kamchatka, Russia.